As you plan your trip to Barcelona, there are many places to consider visiting. For all the first-timers to the beautiful city, you cannot miss the Sagrada Familia, Gaudí’s most famous architectural masterpiece, the Cathedral in the Gothic Quarter and the Santa María del Mar basilica. One place that isn’t so frequented by the bustling crowds of visitors to the city, though, is Pedralbes Monastery in Barcelona. Dating back to the 14th century, this Catalan structure is located in the district of Pedralbes, in northern Barcelona. 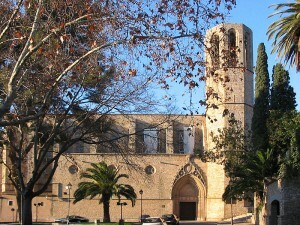 Pedralbes Monastery attracts visitors willing to leave the heart of the city in order to experience less toured areas. Founded by Queen Elisenda de Montcada in 1326, the Monastery of Pedralbes was kept up by the Saint Clare nuns, and still contains its beauty today as a museum. The combination of church and monastery make for a unique place to visit in Barcelona. From the incredible mural paintings by Ferrer Bassa in the nuns’ private rooms, to the stained glass windows preserved from the 14th century, here you will see art in many forms. The tomb of Queen Elisenda is inside the church, and represents her through two perspectives, a queen, and a mourning widow. The museum displays sculptures, art, and silver and gold used by the nuns. When the nuns of Saint Clare moved out in 1983, the Monastery was made public, and the art was inaugurated as a collection. During the summer months, Pedralbes Monastery serves more purpose than just being a beautiful display of artwork, it also hosts concerts and other activities. Often located in the gardens, the live music is a great experience for those visiting this amazing monastery for the first time. You have plenty of options for transportation to Pedralbes Monastery. 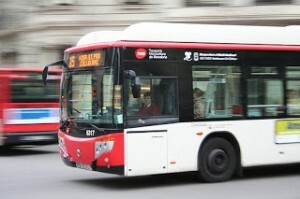 *The Bus Turístic, covering most of Barcelona, also stops at Pedralbes Monastery. *Line 6 on the FGC train to its final stop, Reina Elisenda, followed by a quick 8 minute walk. This entry was posted in Home, Neighborhoods, Things to do and tagged barcelona architecture, barcelona attractions, Barcelona culture, barcelona museums, barcelona places, barcelona tourist guide, sightseeing in barcelona, tourism in barcelona, visiting barcelona. Bookmark the permalink.